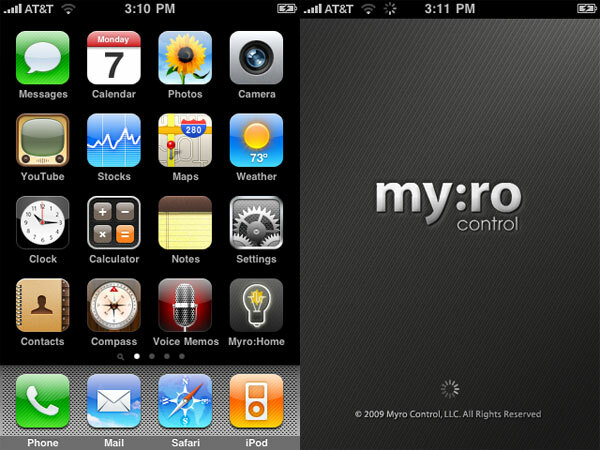 I’ve been learning Objective-C and have been working on a few iPhone apps… one of which will be the official Myro:Home iPhone application which will allow you to control your HAI panel and view IP cameras. This application will only be available to users of the Myro Control 8″ In-Wall Panel (MYRO:8W). The application is in early BETA and should be ready for release beginning of November.